On April 17th, 2014, a fine man, my father, was called home. He will be missed greatly, but we honor his life! Screen capture from The Love Bug (1969) with my own personal 50th anniversary design. Herbie the Love Bug is copyrighted by Disney. All rights reserved. Do not taunt happy fun ball. I have missed this place! Why do I stay away?!? Another business logo I was asked to design but never paid for. Oh well, looks cool anyway. Version 2 of the first business logo I ever designed. The 45 RPM record was royalty-free clip art, as was the music note. This was designed for my former Walmart supervisor and current conspiring business partner, Johnny "Musical Superman" Lankford. Damn, I suppose I'm long overdue for a journal update so you all know what's been going on, huh? I need to stop taking hiatuses from this place! The time that has passed since I returned to Minnesota has been tumultuous to say the least. Despite what anger I may have had and sadness endured, I wish my former love interest no ill will. Hopefully the path she is on will fulfill her and bring her happiness. Most importantly, may it nourish her spirit and help build her into a better person. Come to think of it, I wish that for all of us. I have no time or room in my heart for grudges. They are worthless and toxic to the soul. On August 30th of this year, 2 very dear friends of mine, Vince and Melanie Gardner, were finally married after 20 years together at the Harmony Event Center in St. Paul, MN. The ceremony was wonderfully unorthodox! The groom marched down the aisle to the 1970's Superman movie theme, toy lightsabers were part of the ceremony, and the bride and groom marched away from the pulpit to Star Wars theme music. To top it all off, they interrupted the minister to take a selfie at the pulpit. The reception was a blessing to me as I reunited with beloved coworkers I had not seen in years. Tragically I also found out a guy I worked with for years, who was also my union steward, was forced to finally retire due to ALS. I hope to be participating in a charity fund raising 3-mile walk in his honor. As far as re-entering the dating scene I have been deliberately putting that off, partially because I want to secure a little more for myself first but largely so I could first be comfortable with me again and not be the potentially toxic partner I know I would have been. I may very well remain single for the rest of my life for all I know but I guess I'm fine with that, too. More coming soon? Hmmm, maybe....stay tuned! Personal Quote: We can't legislate our way to immortality. Bans cause social cancer. I know you have not been around Dave and I really hope you're ok and I miss you on dA. I use this account most these days as it's for all my Car Shows and the general public is better with this stuff than Hearses. Haha. Anyway, I am still me but here and I hope you're ok friend. Take Care and come back one day. Hi! Thought I'd stop by. Any thoughts on the new US Bank Stadium in Minneapolis? Hi, how are you? Thank you for the faves! I hope you are doing ok Dave, miss talking to you. Thanks for the favorite, Dave! 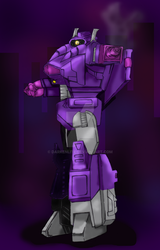 Check out some of my of TF related stuff in my Tributes folder. Also, social networking crossover is totes weird. I'm sorry for you loss. Hello. Do you still playing Car Town? Thanks for the VW Bug drawing fav! Anyway, I also born in july! The support is very much appreciated, I'm glad you like my artwork!Anyway, I'd like to invite you to come and have a look at my gallery some more too. My interests are pretty wide so I sure hope you find something to your likings! If you do, don't hesitate and drop a comment. oh, I almost forgot; HAPPY BIRTHDAY! Happy birthday, Dave! Hope you had a great one, pal.